The Tata Nexon compact SUV recently crossed the 50,000-unit production mark. 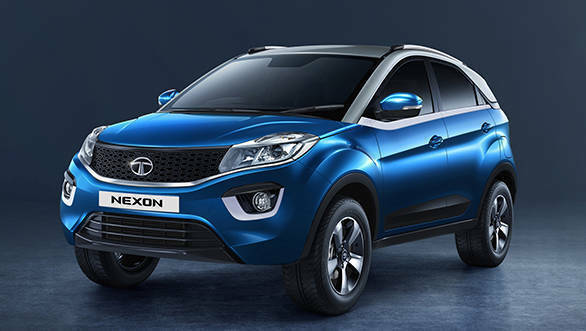 The Nexon is built in Tata Motors' Ranjangaon facility and has been on sale since September last year. This is another positive turn for the Nexon, which was also awarded a four-star rating in the GNCAP crash tests conducted under the Safer Cars For India initiative. The Nexon has seen strong sales numbers ever since it was first introduced. Buyers seem to like the SUV's attributes of good looks, a feature-rich cabin and value pricing. The wide range of trim and powertrain options available also make it easy for buyers to find the ideal balance between these qualities. The Tata Nexon's 1198cc, three-cylinder petrol motor puts out 110PS and 170Nm while the 1498cc, four-cylinder diesel engine is rated at 110PS and 260Nm. Both are available with six-speed manual and a 6-speed AMT. The Nexon is available in five trim levels - XE, XM, XT, XZ and XZ+. Notable features include dual-tone roof, alloy wheels, daytime running lamps (DRLs), 60:40 split-folding rear seats, a smart-key push start button, electrically foldable ORVMs, park assist with rear sensors and a reverse camera, a 6.5-inch touchscreen infotainment system with an 8-speakers from Harman and a height-adjustable driver seat. Other features include automatic climate control with rear vents, cooled glove box and a USB fast charger. Safety features like dual airbags, ABS with EBD are standard across all variants.